I wrote “Nagakura Shinpachi”. He was the captain of the second unit of Shinsengumi. 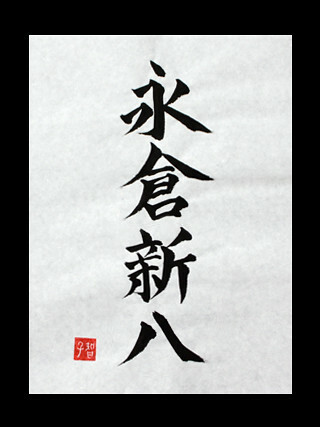 Nagakura (first kanji and second kanji) is his family name. Shinpachi (third kanji and fourth kanji) is his first name. He was one of the best swordsmen of Shinsengumi. He was one of the few survivors of Shinsengumi.